Because Windows is better than mac. Mac may act like it's better, but it's just too user-friendly and REALLY overpriced. Also, Windows has Cortana, which is not only way better than Siri, but is the only personal assistant to be based on a Halo character, which is actually really cool. 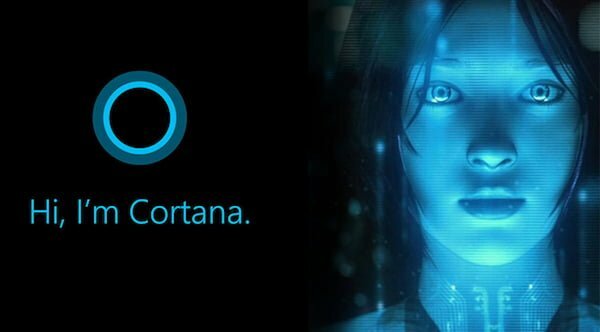 If Microsoft HoloLens doesn't have a full-fledged Cortana hologram that looks just like the Halo Cortana, i'm not getting a HoloLens. I still feel like trolling them kids who own Macs by running macOS/OS X on a bargain rig though. Not to mention that the challenge of getting it to work is one of the main draws, and that I've played with Windows for like two decades now and it's about time I try out another OS out of curiosity. But that's just me. its not actually hard tho... altho my old laptop just happened to be on the list of devices hackintosh would run with little to no issues. Jay Haru wrote: its not actually hard tho... altho my old laptop just happened to be on the list of devices hackintosh would run with little to no issues. Depends on the hardware. I heard that boards made by Gigabyte tend to be a lot more compatible compared to ASUS. As a matter of fact, one computer firm commissioned them to do a bespoke board that (subtly) advertises support for OS X. The main issue (well since apple moved away from powerPC to intel x86) is driver support since unlike windows there are very set pieces of hardware a genuine mac runs. So official drivers only exist for that hardware. Then there are members of the comunity who have made custom drivers and other software tricks to enable all other hardware you can use. Btw it is more then just gigabyte also there are a lot of asrock boards and msi boards and others that work just fine as well. TkSilver wrote: The main issue (well since apple moved away from powerPC to intel x86) is driver support since unlike windows there are very set pieces of hardware a genuine mac runs. So official drivers only exist for that hardware. Then there are members of the comunity who have made custom drivers and other software tricks to enable all other hardware you can use. Hence why shopping for Hackintosh-friendly hardware is a pain in the rear especially with Wifi. Audio and Ethernet isn't that much of an issue as most of the boards I see come with Realtek chips, to which kexts for them are readily available. huckleberrypie wrote: Hence why shopping for Hackintosh-friendly hardware is a pain in the rear especially with Wifi. Audio and Ethernet isn't that much of an issue as most of the boards I see come with Realtek chips, to which kexts for them are readily available. Looks like getting a supported USB wifi dongle is a good compromise. I'm kind of surprised MacOS X even supports those. Saw a TP-Link brand one at a computer supply shop here at my place, so that isn't much of an issue either. And if you're not up to snuff with patching AppleHDA or using any one of those helper kexts, there's also the option of a USB audio adapter too.